We Can(ada) Read: Althea from Girls That Read discussing Alice Kuipers! Althea is a 20-something student from Montreal, Quebec. Besides reading, her passions include recycling, Harry Potter, and eating. Her blog, Girls That Read, recently turned 5 years old in July; she started the blog with a good friend of hers, and has since become the chief reader and sole blogger. Althea loves nothing better than a (proper) poutine- sorry, y’all, everything outside Quebec that’s called a poutine is not a poutine- a good cup of tea, Schwartz’s smoked meat, maple syrup, a bath, and being a real-life Hermione Granger. Her long-term plans include finishing her second Bachelor’s and continuing on to a Master’s program in London, becoming a professor, and marrying Prince Harry- if none of this works out, she plans on traveling the world to find Hogwarts, the entrance to Middle Earth, or the TARDIS, whichever she can find first. 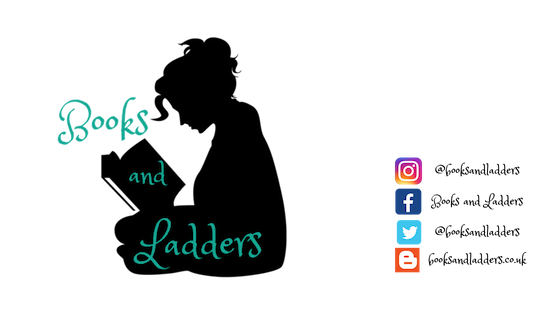 Today I have a very special post :) I was fortunate enough to be asked by Jamie at Books and Ladders to participate her great initiative to promote Canadian literature! The author I will be spotlighting is Alice Kuipers. I was fortunate enough to meet her in Montreal in 2008, at Blue Metropolis International Literary Festival, which is a festival that promotes literature and writing, and brings together those who love to read and write! The Festival hosts a number of workshops for students from elementary/primary school to high/secondary school and CEGEP. I was in grade 11 when I went, and it was loads of fun. Kuipers ran workshops for my group just before lunch, and I don't remember what it was about, but I do remember wanting to go buy her book on our lunch break so that I could have it signed. There was a group of girls who walked a good half an hour to the closest bookstore to buy her debut novel, Life on the Refrigerator Door, and we got them signed! Alice Kuipers was born in London, England, and moved to Canada in 2003 to be with her partner, Yann Martel (I know, right? ); together, they have four kids, and live in Saskatchewan. Although not born a Canadian, Kuipers embodies what a Canadian is to me- someone who is very kind and has a great sense of humour, as well as hardworking. I think another defining feature of her Canadian-ness to me is that she emigrated to Canada, which is the story of how most of us Canadians came to live here, whether it was our ancestors or parents who came. Canada has generally always been an accepting country, very welcoming to others, and I think Kuipers demonstrates that. She has found herself a spot in Canadian YA by being herself, another feature of being a Canadian. I will always remember her kindness to a group of 15-17 year olds at that festival; she was incredibly encouraging, and when I'm feeling down about a mark on my essay, I often think of the message she wrote in my book. I read Life on the Refrigerator Door in one sitting, you just get hooked and I loved the way it was written in notes back-and-forth between mother and daughter. I remember loving this book so much, and I still recommend it to people eight years later.